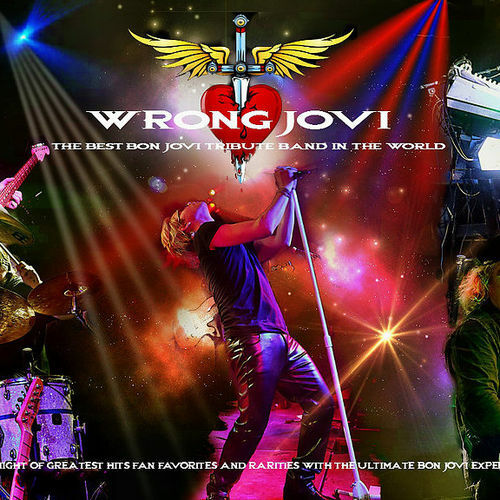 Wrong Jovi are the UK's newest and finest tribute to rock legends Bon Jovi. Described by tribute band expert (Channel 4's The Convention Crasher) and TV celebrity Justin Lee-Collins as "the best Bon Jovi tribute band in the world", Wrong Jovi features some of the UKs finest professional musicians. With a set list crammed full of sing-along anthems, live favourites and rarities, audiences are guaranteed the ultimate Bon Jovi experience. Featuring Ally Ward (X Factor, The Singer Takes It All and Britains Got Talent) aka Jon Wrong Jovi on vocals, Wrong Jovi have one of the UKs most talented front men leading the band through some of rock n rolls most legendary songs. Ally is backed by some of the UKs most highly respected musicians. Founding member Mark Harding provides Richie Samboras fiery guitar lines, backing vocals and even lead vocals on occasion. Simon James (David Bryan) on keyboards and Backing vocals, Jim Houghton (Hugh McDonald) on bass and Backing vocals and Jon 'Alex' Sturgeon (Tico Torres) on drums complete the lineup. With attention to detail in sound and performance, Wrong Jovi were described as "better than the real thing" by Club 85, Hitchin at their very first gig. The Wrong Jovi show is second to none. The band have also appeared live on FUBAR Radios Justin Lee Collins show where the listening audience were wowed by the bands acoustic renditions of Livin' On A Prayer, Wanted Dead or Alive and Always. 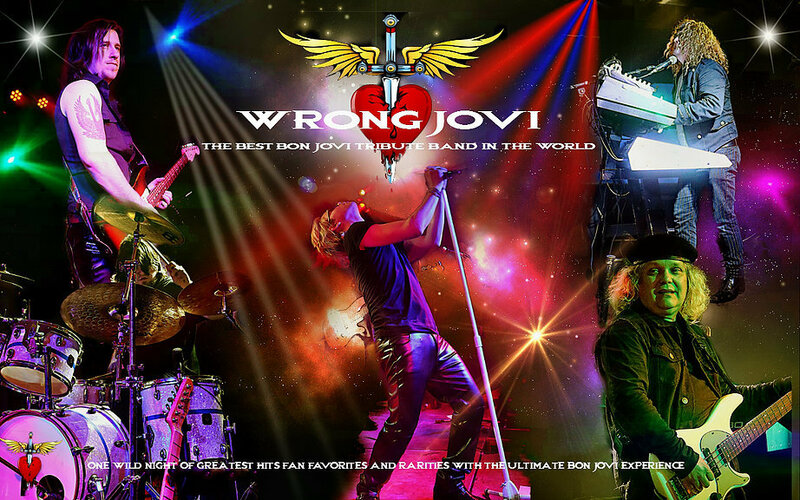 Wrong Jovi manage to make clubs, theatres and halls feel like stadiums and arenas, leaving audiences amazed. If you want One Wild Night with the most exciting tribute act on the planet, Wrong Jovi is the perfect band for you.